Robbie Harris has the details. The terrain in and around Blacksburg is breathtaking with its mountain ridges, forests and waterways. And, the view from hundreds of miles up is a great way to appreciate it. A team of professors and grad students at Virginia Tech created a wall-sized map from satellite photos by the US Geological Survey. Professor Jim Campbell says the color-coded, image enhanced picture is a great way for kids to get an understanding of the world around them and where they are in it. Kids examine the exhibit at the Blacksburg Children's Museum. The map shows not only the local terrain, but also the temperatures in every location at the moment this photo was taken by Landsat, a network of satellites that have been capturing images of earth from space since the early 1970s. Tammy Parece, a doctoral candidate in Tech’s geospatial and environmental analysis program, says the real time weather station on the wall next to the map helps demonstrate how weather, geography and built spaces interact. The weather station feeds data to the online weather site Weather Underground where anyone can check in from anywhere. It was supported by a donation from a local engineering firm Draper Aden Associates and the 10 by 15 foot map by Virginia View, a statewide organization that focuses on educational uses this kind of geospatial technology. The museum and Virginia View will offer scholarships to schools to pay for travel to Blacksburg to see the exhibit. 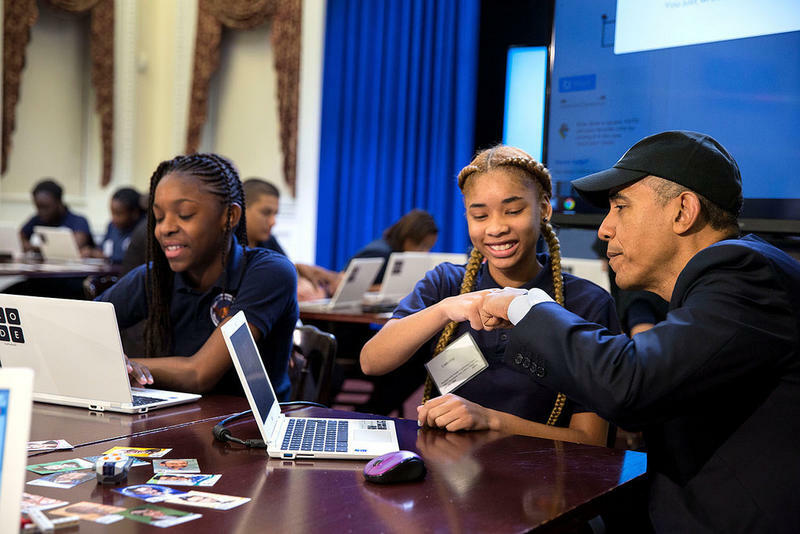 What if high-schoolers in Virginia could take a computer programming class instead of French or Spanish? Lawmakers in Richmond are considering allowing that swap, as one way to get more kids into computer science. With talk of gigahertz and infinite loops, Intro to Computer Programming at Henrico County’s Deep Run High School, certainly sounds like a foreign language class. And if some Virginia lawmakers get their way, it could also count as a foreign language. Virginia Tech is looking to become a leader in inclusion and diversity on campus with new programs and a new person to guide them. The freshman class at Virginia Tech this year is not only the largest in the university’s history, it’s also the most diverse. Next month a new vice provost for inclusion and diversity will lead the effort to build upon that. Menah Pratt-Clarke hales from the University of Illinois, where she held a similar position. Here’s how she describes her goals. A legal battle that began in a Gloucester, Virginia high school will be heard Wednesday in Richmond by a federal appeals court. In question: whether a local school board can prohibit a transgender student from using the restroom of their choice. The answer could guide school systems nationwide. 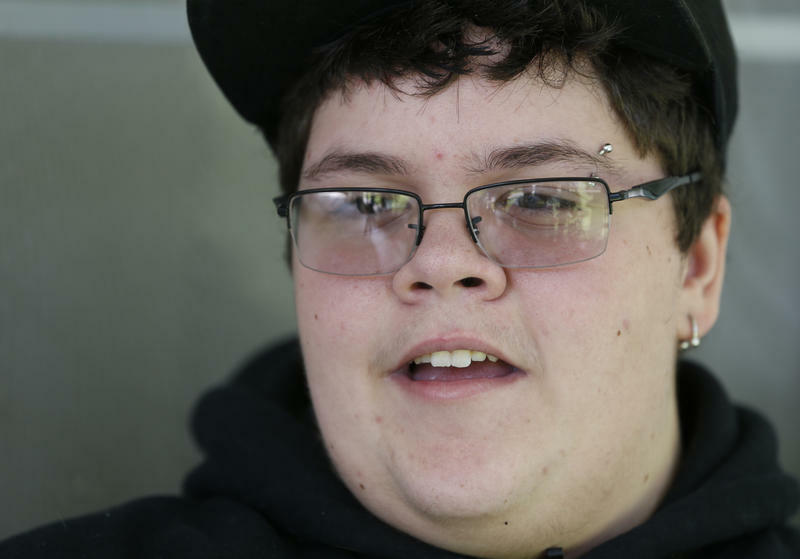 16-year-old Gavin Grimm has attended local school board meetings, and no wonder, those meetings have been about him.